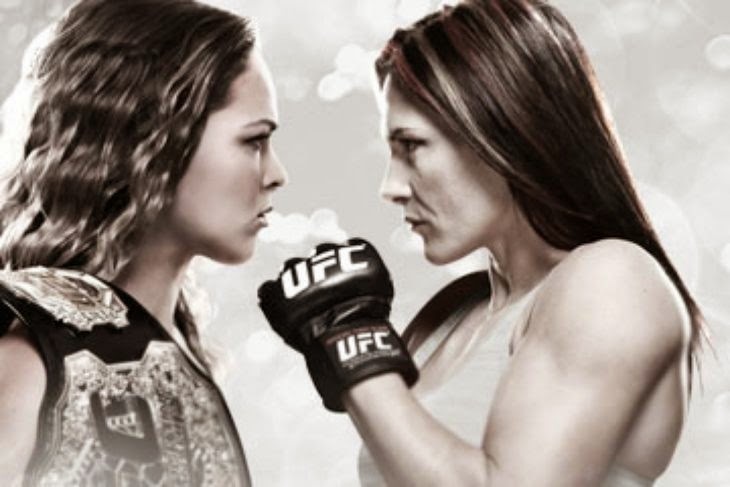 The UFC 184 is the main event of Ronda Rousey vs Cat Zingano fight replay of mixed martial arts event held on February 28, 2015 at Staples Center in Los Angeles, USA. Rousey gets here by being the single most dominant women's fighter in MMA history. Period. Her 4 year career has been an incredible compilation of highlight reel moments, with precious few moments of any success for her opponents. After winning her first 8 consecutive pro fights via armbar (the first 7 in the first round), Rousey has added some more to her game, first stopping Sara McMann with her stand up, then knocking out Alexis Davis with a gorgeously violent slam that would have made Frank Shamrock proud. Along the way, she has become the sport's biggest mainstream star in ages, and the UFC's biggest "must watch" fighter. She's a superstar - what else can you say? Challenger Cat Zingano comes here through a rough road outside the Octagon. In her UFC debut, Zingano looked great, defeating former title challenger Miesha Tate in a great fight and earning both #1 contender status and a high profile gig coaching TUF opposite Rousey. A knee injury put her out of action for over a year, costing her the title fight and the coaching gig. During that time off, her husband Mauricio committed suicide. To say Zingano has been through a lot since that 2013 clash with Tate is a vast understatement. She came back in September and looked good, and now gets the emotional shot she should have had over a year ago. This is intended for the UFC 184 - Rousey vs Zingano Fight Replay. Standby and wait for more updates of the fight.